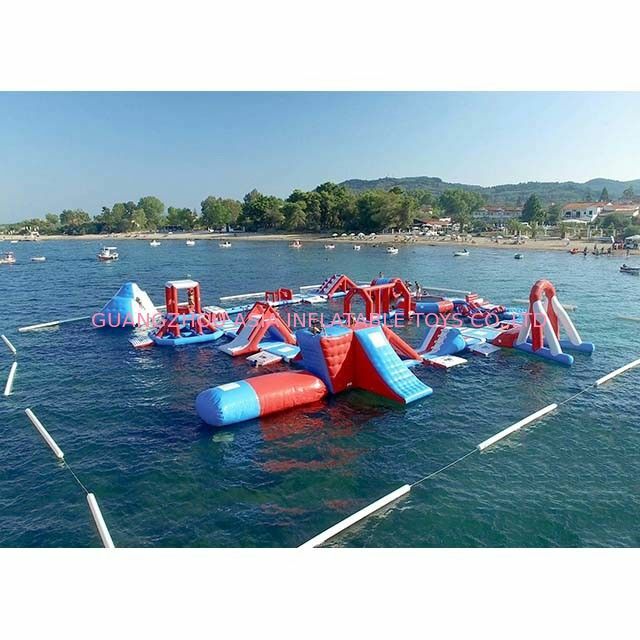 Inflatable water park is the world's first giant mobile water park which is very safty used on the land and sea shore. Both of children and adults will find there is a lot of fun when they playing inside it.We can swimming in the pool,climbing on the mountain then sliding down from the top.Otherwise,we will find that it is so miraculous we can play a lot of water floating toys in the big pool. 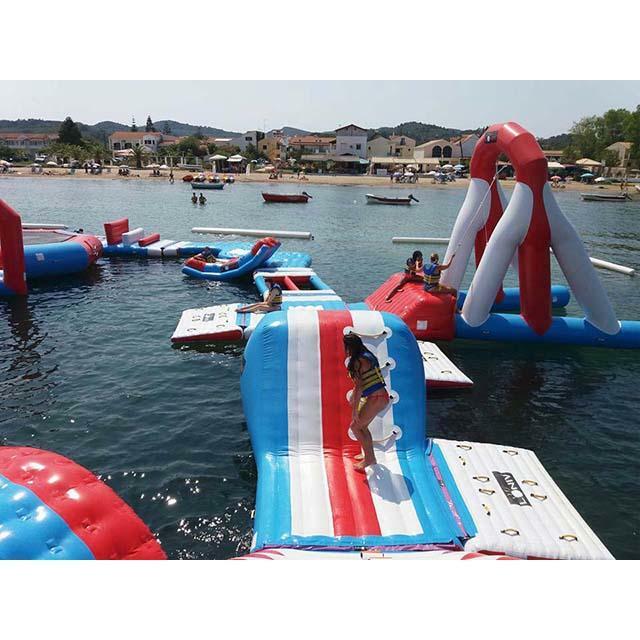 Such as water totter,iceberg,water trampolin,aqua glide and so on.Welcome you contact us to get more details about it. the base of the unit. We use extra webbing reinforced strip on all the stress points and interior panels. 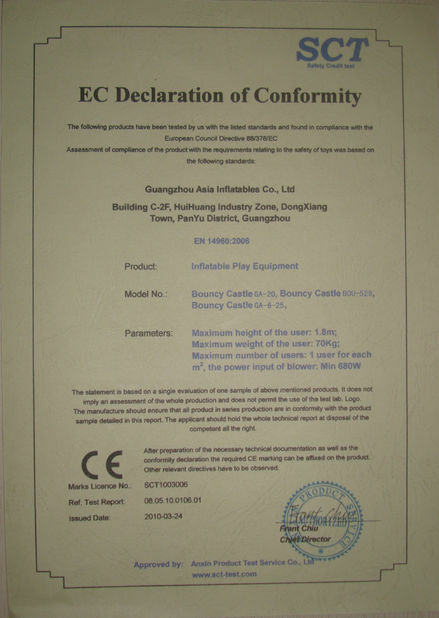 inflatable Teeter Totter float, inflatable water float bed.